MOSCOW, August 31 (Itar-Tass) - Russian lawyer Anatoly Kucherena, who represents the interests of Edward Snowden, a former CIA employee wanted in the United States for leaking US special services’ eavesdropping secrets to the world public, has quoted his client as saying he had never visited the Russian consulate in Hong Kong before flying to Moscow. “Edward has told me that he had not visited any diplomatic missions then, and that all rumours to the contrary have nothing to do with the reality,” Kucherena told the daily Kommersant in an interview. “He was aware he was being persecuted, and for that reason he repeatedly moved from place to place. But all that has no bearing on our diplomatic mission whatsoever. He had never had any plans for contacting Russian diplomats,” Kucherena said. “While staying in the transit zone he was aware that he was being chased by a mighty power, which could use any methods and means to get him. This is pretty clear to all, and that was the point at issue. But apart from the emotional aspect of the affair there is the legal one - there are documents confirming that the United States had cancelled his passport,” Kucherena said. In the meantime, Snowden is having an adaptation period, he is reading Russian literature (in English) and studying the language. “He is recovering from the nightmare he has been through,” the lawyer said. Kucherena does not deny that Snowden has access to the Internet. “It’s up to him to regulate this. His rights are not limited,” he said. 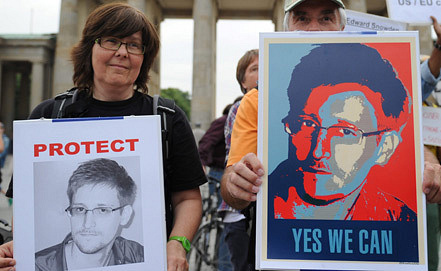 “As far as I know, Snowden does not transmit anything from here,” Kucherena concluded.